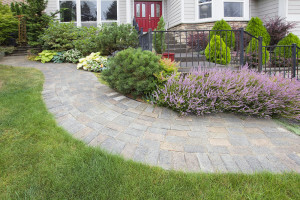 What Are The Best Landscape Pavers For Colder Climates? Landscape pavers can add elegance, texture, and structure to a garden or yard, but not every type of paver is appropriate for every climate. 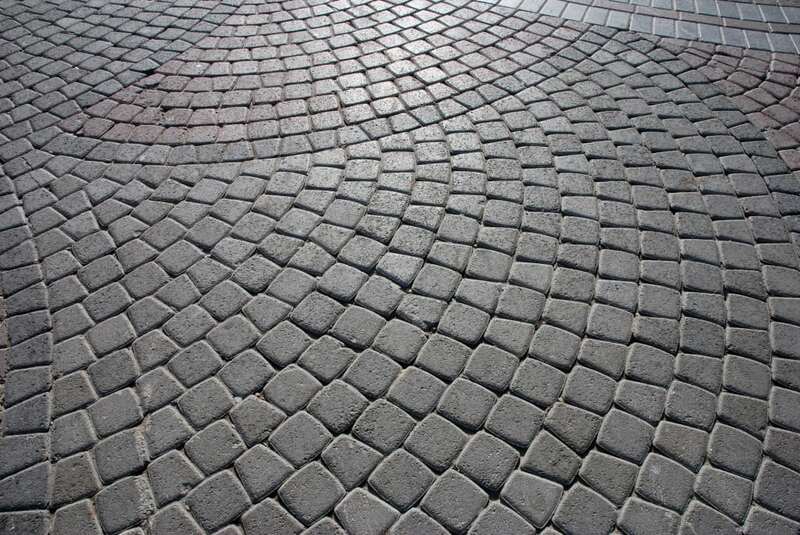 The wrong paver in a cold climate can spall, which means bits or pieces of the paver fall away because of the freeze-thaw cycle. Water seeps into the material of the paver, freezes, expands, and cracks it. Frost heave happens when the soil beneath the paver becomes saturated with water, which freezes in the cold. Slate is a hard rock that is famous for its ability to split into thin sheets. It comes in colors of green, blue, blue-gray, violet or green and brown. Used largely for roofing, it is durable and weatherproof and has the advantage over stone such as granite or marble for not being very porous. This makes it resistant to the freeze-thaw cycle, though it needs to be installed correctly to be spared frost heaving. Travertine is a whitish variety of limestone. For many years, contractors warned against installing travertine pavers, because the stone was too porous to bear up under cold weather. Now, travertine can be used as a landscaping paver if it’s sealed. According to builders, it’s best to dry lay travertine and use stone dust instead of polymeric sand in between the joints. 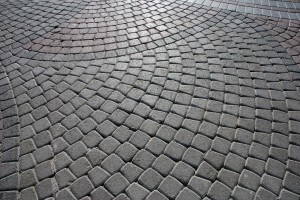 Even if a travertine paver cracks, it can be replaced easily. Porcelain is a ceramic tile that is fired at a higher temperature than regular ceramic tile. This makes it very hard and absolutely waterproof. Porcelain pavers come in many colors, and since the colors permeate the entire paver, they won’t fade. Though many people think of porcelain as slippery, textured porcelain can reduce the risk of slips and falls. Homeowners in cold climates, like the Ann Arbor, Michigan area, sometimes choose stamped concrete over brick, which some claim is more subject to frost heaving. The concrete is poured, troweled, and then stamped to look like brick, cobblestone or other material. Stamped concrete can be dyed or stained many colors to match the decor of the patio. This is brick that’s made to withstand both traffic and cold weather. Some come in interlocking sheets that are installed without mortar in less than a day. The colors of these bricks do fade over time, which may or may not be to the liking of the homeowner. Paving brick that’s made from clay and fired a long time in a very hot kiln is hard, tough, and can stand up to inclement weather. Well-made paving brick can last a century or more. Terracotta, which means “baked earth” in Italian, is the opposite of porcelain in that it’s clay fired at low temperatures. It can be glazed or unglazed and needs to be sealed to make it water resistant. Though terracotta paver tiles can come in beautiful colors and patterns, some homeowners may not have the patience to seal it every two years or so. Homeowners who live in cold climates no longer have a limited range of paving materials to choose from. 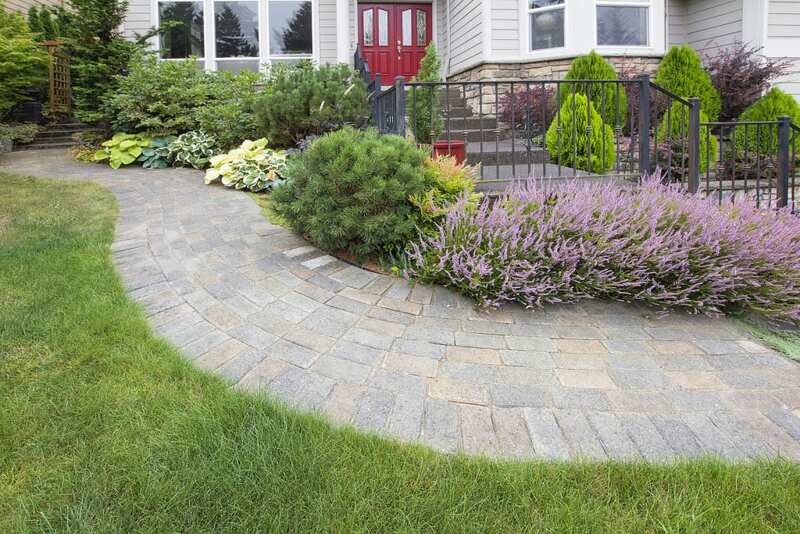 Different landscape pavers can be beautiful even as they endure the coldest winter. 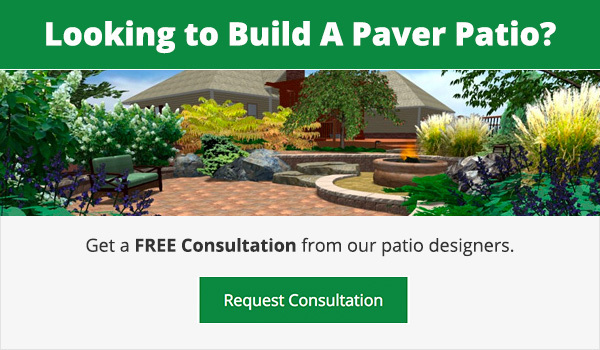 If you’re considering a paver patio for this upcoming season, contact the experts at Twin Oaks Landscape. 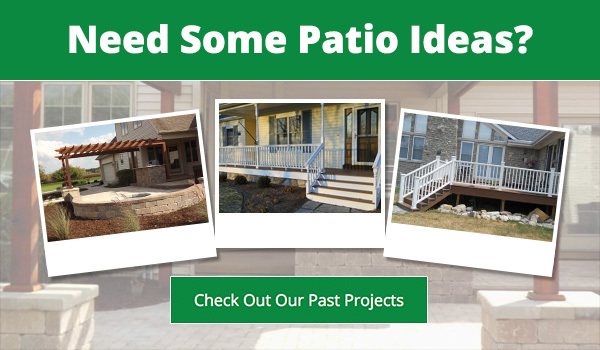 Our designers can create a new patio space for you and turn your space into a retreat you’ll enjoy.